Will it work on my eReader? 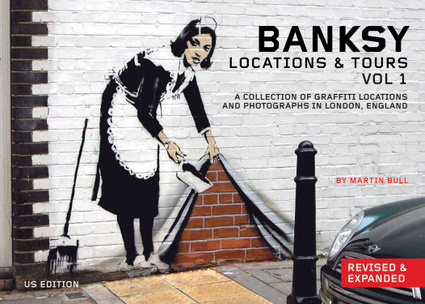 In three guided tours, Martin Bull documents 65 London street installations by guerilla art icon Banksy. While newspapers and magazines the world over send their critics to review the latest Damien Hirst show at the Tate Modern, Bull is out taking photos of the legendary political artist's work. This collection of provocative and intriguing examples of street art boasts gorgeous color photos and includes graffiti by many of Banksy’s peers, such as Eine, Faile, El Chivo, Arofish, Cept, Space Invader, Blek Le Rat, D*face, and Shepherd Fairey. Volume one of this new edition includes updated locations and an additional 25 photos. Martin Bull is a London-based photographer, fan, curator, and promoter of street art.